NEW REDUCED PRICES STARTING FROM 600 EURO PER SQ.M. JUST 1 MIN FROM PISTES. FULLY FINISHED APARTMENTS READY TO BE FURNISHED. We are delighted to present Semiramida Gardens Borovets - luxury gated development in Borovets. This is one of our best current investment opportunities. Located high in the Rila Mountains some 1500 meters above sea level, the development is situated in an old pine forest that surrounds the whole complex, near the Rila National Park. Download a map of the area. The complex consists of 2 apartment blocks designed to the highest possible standard of finishing and includes amenities comparable to a 4 star luxury hotel. It is located just 100 meters from the pistes of Yasterbets skiing area (1 minute walk or less than a minute skiing). Its location and proximity to the ski pistes high in the mountain and the amenities available to visitors makes Semiramida Gardens a unique complex not only for investment purposes but also for the owner occupier and lover of mountain leisure activities. All these facilities can be used by owners and guests Semiramida on payment of a small charge. Semiramida Gardens is being developed by one of the most respected local property development companies (details of the company are available on request) with a long history in the area. Semiramida Gardens is designed to be a high specification luxury gated complex and no compromise will be made to the quality, design or the materials used. The Semiramida Gardens complex is 3.9 km from the centre of Borovets ski resort - the oldest and most popular of the Bulgarian ski resorts. The complex is easy to reach being on a well maintained tarmac road that is clear throughout the whole year. It's situated in the middle of a pine forest that completely covers this very high part of the Rila Mountains. The neighbouring areas are all part of the Rila National Park and can never be built on or developed which offers all buyers at the development a long term guarantee against the area, and the whole ski resort of Borovets ever being overbuilt. In future there will be fewer and fewer available apartments anywhere as close to the pistes as this complex, and we thoroughly recommend buying an apartment here as the prices never been so reduced in Borovets! The Semiramida Gardens complex is managed and maintained by the devеloper. 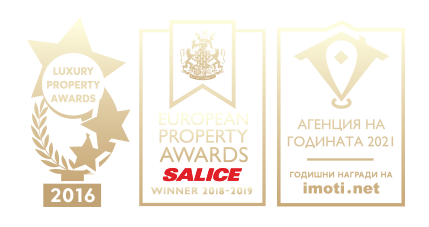 Contracts with more than 100 local and 80 international tour operators have been signed for Rila Park and there is already a high demand for super luxury accommodation in Borovets and Semiramida Gardens already benefited from this. The complex is 100 % rented already for the ski season of 2010-2011 (subject to owners wishing to rent). All apartment owners will be obligated to pay an annual maintenance charge of 8 Euros/per sq.m. to cover the costs of upkeep and maintenance of the communal areas and the garden. The apartments are offered for sale unfurnished - kitchen appliances and cabinets are not included too. Buyers will be offered complete furniture packs (inclusive fitted kitchens and everything else required for letting/use of the apartment) by our partners Furnish BG which will cost approx. 3 800 Euros for a studio apartment. Clients will be offered few options for furnishing and order the standard furnishing pack which is most reasonably priced and designed for letting purposes. The quoted prices include absolutely everything needed for the apartment to be used for living immediately. Any apartment can be reserved immediately with a deposit of 2000 Euros. LUXIMMO charge 3% agency commission. Cash payment: Price must be paid within 45 days after reservation. The ownership of the property will be transferred to the buyer immediately.